The LEGO Star Wars Imperial Death Trooper is an excellent gift for the 8-14 set! Defend the Empire’s elite with this buildable and highly posable Death Trooper figure. 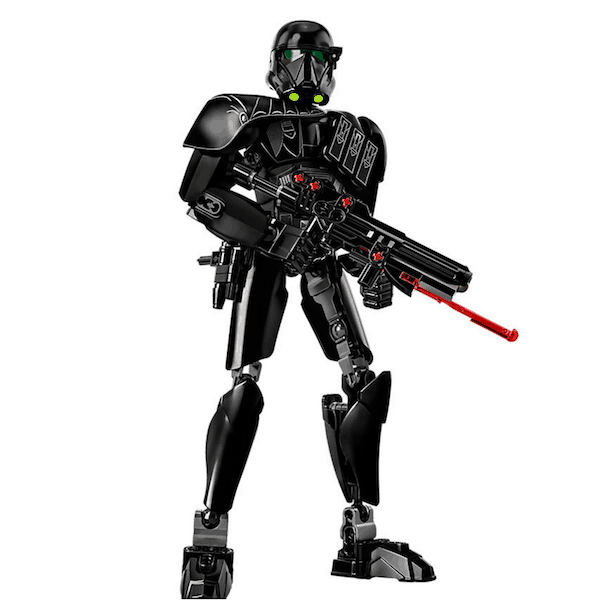 Featuring a blaster rifle with spring-loaded shooter, blaster pistol with holster and imposing decorated armor elements including a pauldron with attachable ammo pouches, this durable Death Trooper is ready for action. Recreate amazing battles with this menacing character from Star Wars: Rogue One. Shop for a LEGO Star Wars Imperial Death Trooper now!